Congratulations to Contestants at Fort Worth Ag Mechanics Show! 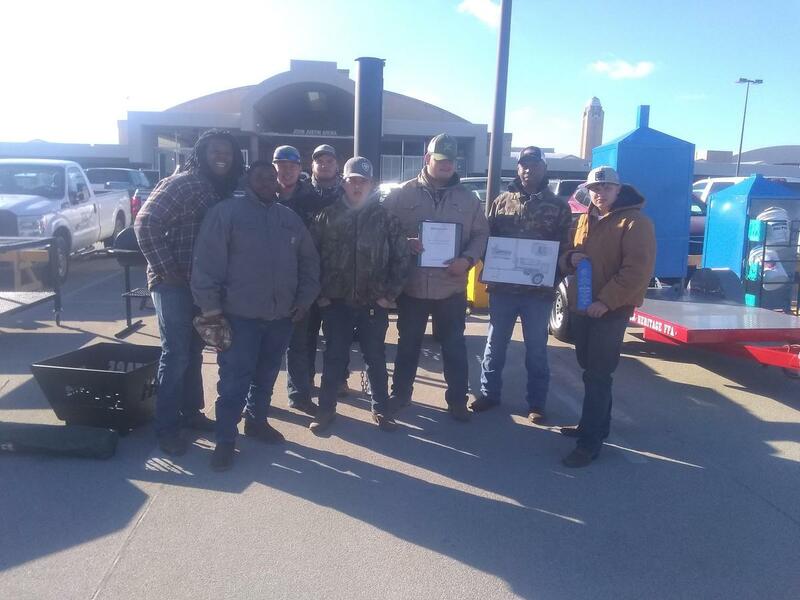 TyPatrick Bluford, Quen Holman, Marshall Ellison, Edmond Smith, Hunter Carpenter, Kody Page, Ryan Garsee, and Kylar Hargrove took two different projects and received blue ribbon honors for both. 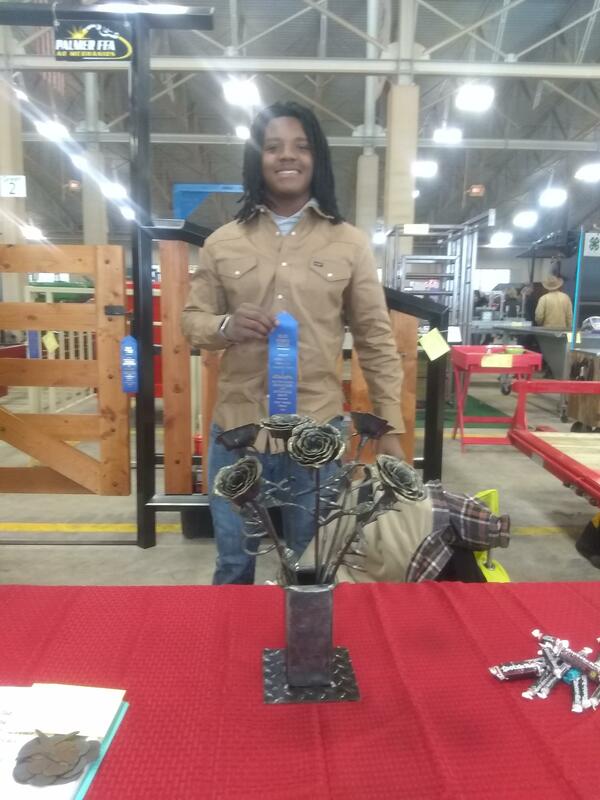 TyPatrick placed in the top of his class with his hand forged rose bouquet. There were over 400 hundred projects being shown by FFA and 4-H students from across the state of TX. If you see one of these guys congratulate them. Their hard work paid off!